"I'm a little hoarse from yelling", said Woods, whose last Masters win came back in 2005. When I tapped in I don't know what I did, I know I screamed. 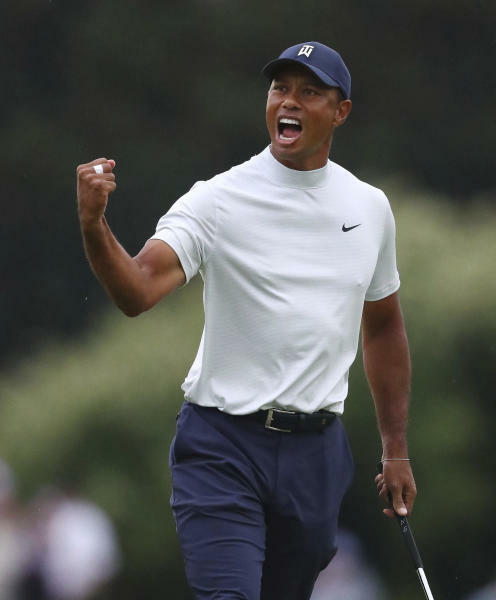 Written off as too old and too beaten up from four back surgeries and multiple knee operations, Woods underwent a back fusion in 2017 and slowly returned to form. Brooks Koepka, Ian Poulter, Franceso Molinari and Tony Finau all made double bogey, while overnight leader Molinari threw in a double bogey seven at the 15th for good measure. Paired together in the final round of last year's British Open, won by the Italian at Carnoustie, Molinari and Woods found themselves in the last group again battling for a major title. The two double bogeys ended his Green Jacket bid.